The OCEACT fidelity review team will interview all members of the ACT team: the team leader; substance abuse specialist(s); employment specialist(s); psychiatrist / PMHNP; nurse(s); peer support specialist(s); mental health clinicians/case managers. In addition, OCEACT staff will interview 2-3 ACT participants in a group interview, and 2-3 family members of ACT participants. 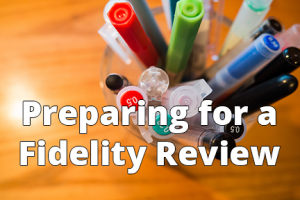 The OCEACT fidelity review team will observe a ACT team meeting. The OCEACT fidelity review team will request access to all charts for ACT participants served in the past 12 months. At least ten open charts and five closed charts will be reviewed to collect information to score items on the DACT. The OCEACT fidelity review team will download the most recent data submitted by the ACT team to the Oregon ACT Database (OAD) and create a 12 month roster of all ACT participants served. Each ACT program is required to submit quarterly data to the Oregon Health Authority through OAD. OCEACT staff will download the most recent data submitted to OAD into an excel spreadsheet to be used to represent the most current roster of ACT participants. OCEACT will send this roster of ACT participants to the ACT team leaders at least one month prior to the ACT fidelity review to allow the ACT team leader to evaluate if the OAD data represents a current list of ACT participants. If not, the ACT team leader, or other agency staff, can update ACT client information in OAD and OCEACT will download the updated ACT client roster for use in the ACT fidelity review and chart review procedures.